Best wishes for the New Year from the Legal History Blog. When John F. Kennedy telephoned Coretta Scott King to express sympathy for her jailed husband, he had little idea that his two-minute call would move to center stage in the 1960 presidential election. That call, James H. Meriwether argues, has obscured Kennedy’s broader efforts to secure the support of black voters while not alienating white voters in the no longer “solid South.” Kennedy drew on the growing transnational relationship black Americans had with an ancestral continent undergoing its own freedom struggles, revealing that he was more interested in Africa than in civil rights. 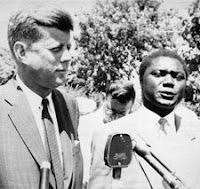 Africa, the newest frontier for Kennedy, became a place where he could show his Cold War credentials, find common ground with black American voters, and strengthen his chances to win the presidency. The fabulous teaching supplement includes a podcast of an interview with Meriwether, teaching exercises listed below, links to primary sources, and a bibliography of further readings. Among the primary sources is an excerpt from the Brief for the United States as Amicus Curiae in Brown v. Board of Education, which argued that school segregation harmed U.S. foreign relations during the Cold War. I believe this is the first time this source has been available open-access on-line. Overall, these sources make it quite easy to bring transnational history into teaching the history of civil rights during the Cold War and 20th century U.S. politics. Sino-Japanese relations experienced great qualitative changes during the seventeenth and early eighteenth centuries. By the reign period of the Yongzheng Emperor (r. 1723-1735) one can even speak of a partial reversal of the former master-vassal relationship, which existed during the Ming period: whereas during the fifteenth and sixteenth centuries Japan was the vassal which had to obey strict regulations in China and which accepted the formal subordination under the Chinese tribute system, the new Tokugawa rulers, starting from the time of Ieyasu (1542-1616; r. 1603-1616), were no longer willing to restore the former vassal-tribute relations with China. Instead they issued their own trade licenses (shinpai, in Chinese sources also referred to as Wozhao) for foreign ships and initiated a series of new regulations in order to monopolize the China trade more strictly. By the early seventeenth century the Chinese in Japan were increasingly subject to political control and found themselves very much restricted in their mobility, as the Japanese had formerly been in China. At the same time, however, it is evident that both China and Japan still wanted to maintain mutual trade relations, although for different reasons. Whereas the Chinese were primarily interested in Japanese silver and, starting from the late seventeenth century onwards, in Japanese copper, the Japanese mainly sought Chinese silk, medicinal products, medical knowledge, physicians and various other kinds of "practical knowledge" to be imported from China. Because of decreasing copper imports in the course of the first third of the eighteenth century, the Chinese were increasingly dissatisfied with the Japan trade. Developments even prompted high Qing officials to send "secret agents" to Japan to inquire about the causes for reduced export quotas. But in the end none of these "secret missions" had any far-reaching consequences for China's Japan policy. The paper intends to look behind the scenes and to give an overview of the causes and changes in Sino-Japanese relations. In addition, it seeks to provide an answer for why, from the Chinese perspective, these missions remained without consequences and why Japan, despite her rising self-confidence and the subsequent reformation of the China trade at Nagasaki, continued to be considered the 'tiny dwarf country' (cui'erguo) by the Chinese. Digital history is an approach to examining and representing the past that works with the new communication technologies of the computer, the Internet network, and software systems. On one level, digital history is an open arena of scholarly production and communication, encompassing the development of new course materials and scholarly data collections. On another, it is a methodological approach framed by the hypertextual power of these technologies to make, define, query, and annotate associations in the human record of the past. To do digital history, then, is to create a framework, an ontology, through the technology for people to experience, read, and follow an argument about a historical problem. Digital history scholarship also encourages readers to investigate and form interpretive associations of their own. That might be the defining characteristic of the genre. Readers are not presented with an exhibit, or an article with appendices, or any other analog form simply reprocessed into the Web format....Instead, they are presented with a suite of interpretive elements, ways to gain leverage on the problem under investigation. We have now entered Stage 3.0, in which the emphasis is on active learning, collaboration, and enhanced interaction. Wikis, blogs, mash-ups, podcasts, tags, and social networking are the buzz words. These technological innovations offer opportunities to students to share resources and create collaborative projects. Stage 4.0 lurks just beyond the horizon. It includes three-dimensional virtual reality environments, which allow students to navigate and annotate now-lost historical settings. A stunning example is Lisa M. Snyder’s reconstruction of the 1893 World’s Columbian Exposition in Chicago. Stage 4.0 is informed by a “constructivist” understanding of learning, in which students devise their own conceptual models for understanding our collective past. With support from the National Endowment for the Humanities (NEH), a colleague in instructional technology, Sara McNeil, and I, are completing MyHistory, which will allow students to create online history portfolios, in which they can develop multimedia projects, and construct timelines, annotate images, and keep notes. Other participants in this roundtable include Daniel J. Cohen, George Mason University; Michael Frisch, University at Buffalo, State University of New York; Patrick Gallagher, Gallagher & Associates; Kirsten Sword, Indiana University; Amy Murrell Taylor, State University of New York–Albany; and William J. Turkel, University of Western Ontario. The discussion takes up the impact of digital history on teaching, research, publication, and the field as a whole. Sword sums it up this way: "The new media are profoundly changing the ways most historians work, whether or not we are self-conscious about how we are becoming digital." Hernandez-Saenz Reviews "Empire of Laws and Indian Justice in Colonial Mexico"
With the acquisition of its American colonies, Spain became the first European power to wrestle with issues such as the justification for conquest, the place of the indigenous population in colonial society, and their role as subjects to the crown. Conquest brought new subjects as well as new challenges to the crown, which accepted the defeated as "inferior" subjects of the empire. Legislation sought to separate the conquered from the conquerors by establishing two "republics" that, although complementary, were to be kept separate. Legally, such division continued to exist into the seventeenth century but in reality both encroached on each other and were separated by a large gray area rather than a clear line. Empire of Law and Indian Justice in Colonial Mexico explores the role played by the legal processes "in mediating the relationship among people very differently situated in Spain's empire in the New World." The review continues on H-Law. The joint study of law and literature offers a platform for Indigenous Studies and other programs to explore divergent philosophies and systems of law that have marked the Americas since 1492: Native American Ceremony and Euro-U.S. Law. Although law and literary culture are seen as inextricable and thus seemingly preclusive of Native American ceremony, our essay suggests a rationale and approaches for exploring, in a classroom, the theme of Native American ceremony in its relation to law. Native American ceremony, as fundamentally anomalous to Old World or Eurasian ceremony and law, interrogates, in the relation, the collective imaginary and ethos or internal logic that enters into creating and even needing law. This relation can be explored using imaginative literature and contrasted to networks that legitimate our practices, as well as to changing definitions of law, such as St. Augustine's Natural Law, and Jeremy Bentham's early definition that tied law to monarchy. Euro-U.S. law in America since 1492, for example, has relied on punitive force as its normative power, but what are the consent mechanisms in Native American ceremony and how does it differ from normative domains described by Euro-U.S. practices, such as religion and even literature? An exploration of this theme through interactive readings of literature and law would focus on what the relationship between law and Native American ceremony might be, based on the continuing presence of Indian ceremony against the force of the U.S. system of law as it increasingly exercises control over Native Americans on tribal lands. Despite the legalities of Euro-U.S. past and present control over Indians, Native American ceremony continues to play a strong part in the psychological processes of the Native American imaginary. James Welch's Fools Crow is an exemplary fiction that raises these issues, which are made clearer through legal texts. The plight of a small village of Blackfeets and the implied historical events that follow receive a fuller reading through the Indian Removal Act of 1830, Andrew Jackson's Report to Congress in 1829 and 1835, including congressional rhetoric and Acts contemporary to the 1870s, the temporal setting of Fools Crow. These texts give access to divergent cultural practices both through the experience of imagination and through grounding the fictive in the reality of the political setting, setting being an important element of fiction. A reading through the lens of the legal texts motivates questions about why, in the last chapter, Fools Crow and the people observe a 7-day ceremony, even though they realize they are being overwhelmed by invasions of U.S. soldiers and settlers. This locus in the text creates an interpretive opening to the conflict between U.S. and Indian law, to divergent views of law itself and the collective imaginary that goes into its formulation and enactment. Law, as seen in Indian ceremony across America, is strongly tied to harmonious interaction with what the land offers. Classroom approaches can be organized around major time periods addressing three kinds of legal texts: ceremony, Indian treaties, and federal law with corresponding texts in themes important for the 21st century because of environmental, humanitarian, and sustainability concerns and because of pressures for development of natural resources, many of which can be found on what remains of Indian land. Much of the conflict between Native Americans and Non-Indians, from the Makah whale hunt to more recent Hopi and Navajo opposition to creating artificial snow on San Francisco Peaks in Arizona, has been because of a lack of understanding of Indian Ceremony as valid law in the Americas. Briggs on Villeins' "Choice of Court"
Medieval villagers were assiduous users of legal structures in defence of private interests. To enforce contracts against and recover debts from residents of other villages, rural plaintiffs had to prosecute in courts situated beyond the boundaries of their 'home' manors. The ability to sue elsewhere than the local manor court was thus crucial to commercial development in the countryside. This article explores the obstacles to such litigation, challenging the claim that servile villeinage acted to restrict villagers' choice of court. It lays the foundation for a larger investigation into the importance of villagers as civil litigants in ecclesiastical and royal jurisdictions. Thanks to Rob Richards for the reference. Image credit. PANIC:The Story of Modern Financial Insanity, edited by Michael Lewis, is reviewed in today's New York Times, as is THE ASCENT OF MONEY: A Financial History of the World by Niall Ferguson. SOME OF IT WAS FUN Working With RFK and LBJ by Nicholas deB. Katzenbach is briefly noted. The Philadelphia Inquirer reviews Black Philosopher, White Academy: The Career of William Fontaine by Bruce Kuklick. SAMUEL JOHNSON: A Biography by Peter Martin and SAMUEL JOHNSON: The Struggle by Jeffrey Meyers are reviewed together in the Washington Post. Samuel Johnson: The Struggle by Meyers is also taken up in the Los Angeles Times, as is Chaplin: A Life by Stephen Weissman. This paper explains why the politics-administration dichotomy became entrenched in the field of public administration in its first decade. The expansion of the public administration community depended on funding from three Rockefeller philanthropies who were sensitive to public criticism of their involvement in political work, and who had resisted supporting governmental research on the grounds that it would be perceived by the public as meddling in politics. The politics-administration dichotomy - an already well-known idea that suggested there was a certain sphere of governmental work that could be considered non-political - was a rhetorical device that allowed the philanthropies to defend their support of governmental research. Scholars and practitioners in public administration re-asserted their faith in the dichotomy, and tailored their work routines to bolster such assertions, in order to allay the philanthropies' concern about public criticism of the financial support which they provided to the new field. In other words, the dichotomy was an important part of a rhetorical strategy that was integral to the institutional development of the public administration community in its early years. It may be that the dichotomy continues to serve this function today. This article traces the evolution of federal merger policy. It documents how merger enforcement originally was largely based upon very strong structural presumptions. These presumptions gradually eroded and other factors became more and more important in enforcement decisions. Today merger enforcement essentially consists of structural safe harbors and a full rule of reason analysis for any merger not within these safe harbors. The Cegla Center for Interdisciplinary Research of the Law of the Buchmann Faculty of Law of Tel Aviv University announces an international conference, Money Matters: The Law, Economics, and Politics of Currency, to be held January 7-9, 2009. The organizers are Christine Desan, Roy Kreitner, and Neta Ziv. Sessions will take place at Tel Aviv University and be held in English. The principal papers appear below; more information is here. Richard Sylla, New York University, “The Political Economy of Supplying Money to a Growing Economy: Monetary Regimes and the Search for an Anchor to Stabilize the Value of Money"
Randall Wray, University of Missouri–Kansas City, "An Alternative Approach to Money"
Bruce G. Carruthers, Northwestern University, "Money and Society: A Sociological Perspective"
Michael Zakim, Tel Aviv University, "Inventing Industrial Statistics"
Ronen Palan, University of Birmingham, "Financial Centers: The British-Empire, the City-State and Commercially Oriented Politics"
Neta Ziv, Tel Aviv University, "Credit Cooperatives in Early Israeli Statehood: Financial Institutions and Social Transformation"
Elimelech Westreich, Tel Aviv University, "Evolution (of Elements) of Negotiability in Jewish Law in Medieval Spain"
The Legal History Blog will be back on-line soon. Tushnet, Teles, and "What Consequences Do Ideas Have?" conservative legal movement was intimately connected to changes in the dominant political order that have occurred over the past thirty years: the decay of the New Deal-Great Society political order, and the Reagan Revolution and its limits. In these ways Teles provides a firm foundation for thinking (or perhaps merely speculating) about future developments in the institutional apparatuses associated with conservative and liberal legal thought. This Review summarizes and critiques Teles's analysis of the three components of the conservative legal movement, beginning with the least important, law and economics in the legal academy, and then turning to conservative public interest law firms and the Federalist Society. It concludes with some speculations about the future of that movement, in light of the connection Teles rightly draws between that movement and the American political regime of the late twentieth century. Teles is essential reading for anyone interested in late 20th century legal history or the role of institution-building in social change efforts. 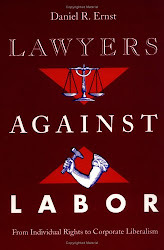 One point Tushnet doesn't raise in this extremely helpful review, in spite of his title, is the way Teles's fine but necessarily focused work underplays the role of certain ideas in "the conservative legal movement." Left out of Teles's account is the role of the religious right, and I suspect that this is the reason that abortion rights play so little role in Teles's description of legal conservatism. Roe v. Wade was not just a case, but also a catalyst for organizing against the Court, enabling fund raising efforts and mass mobilization. Others have criticized Teles for this absence, and Teles, a careful political scientist, has an appropriate response: First, another book covers religious conservatives, Steven Brown’s Trumping Religion: The New Christian Right, The Free Speech Clause, and the Courts (Alabama, 2004), and "One of the main reasons I did not go into the subject at any greater length than I did was that I did not feel I had much to offer that Brown had not already covered." Second, and perhaps more important, Teles explains: "while I believed I was already reasonably far up the learning curve on the subjects I covered in the book (despite not being a lawyer), I do not have any particular training or background in Christian conservatism....To write a book like mine that covered Christian conservatives would require that the author have an intuitive sense of that part of the movement, and in all honesty, that is not part of my intellectual capital." He develops this point here. Because of this, although the book is a must-read for anyone interested in legal thought in the late 20th century, the limitations of Teles's methodology mean that, at least when it comes to the movement's motivating ideas, it cannot be read as a history of the conservative legal movement, but instead of critically important parts of it. This article is concerned with the way in which the power of religion and culture is used to perpetuate the hegemony of patriarchy and the subordination of women. First, I will use a historical perspective to describe the advent and the perpetuation of patriarchy and the historical interrelationship between patriarchy and patriarchal religion. I will then present and analyze the insightful critiques of early American feminists of the patriarchal nature of both church and state. Next, I will argue that despite the constitutional separation between church and state patriarchal religion continues to directly and indirectly influence the law and constitutes a significant force perpetuating the hegemony of patriarchy. I will further argue that the current legal protection afforded patriarchal aspects of religion and culture seriously undermines women's ability to achieve equality. While freedom of religion and association and the right to culture are as important to women as they are to men, I will show that the way in which these rights are understood and applied serves to perpetuate gender hierarchy and to deprive women of equality and freedom rather than to ensure their freedom of religion and culture or to guarantee them equal respect. Finally, I will suggest that incorporating an analysis of power into our liberal theory of rights will transform our understanding of religious freedom, toleration, and freedom of culture and association in a manner that will make them more compatible with women's rights. 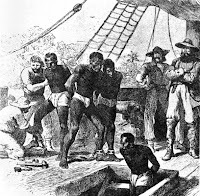 In 1807 the U.S. Congress passed legislation, which became effective on January 1, 1808, to end all importations of slaves into the United States. Even before that date, Congress had passed a series of laws which prevented Americans from participating in the trade as sailors, ship captains, ship owners, ship builders, or investors in slave trading ventures. The bicentennial of closing the trade to United States provides an appropriate moment to examine how the United States withdrew from this form of commerce. At one level, the tale is inspiring. This was the first time in history that a slaveholding nation voluntarily ceased to import new slaves. At another level, this is a cautionary, but nevertheless instructive, tale about how to use law to effectuate social change. This article is a comprehensive look at the story of school desegregation in the Memphis City Schools. Beginning with the Brown v. Board of Education decision that ended segregation in schooling, the article traces the steps taken in Memphis to put the Brown decision into practice. Following a period of inaction and delay, the Memphis City Schools experienced a relatively peaceful transition as token desegregation took place in the early part of the 1960s. However, after the assassination of Dr. Martin Luther King, Jr., in Memphis in 1968, the community's polarization was globally exposed and further progress on school desegregation was limited. After federal courts ordered busing to implement the Brown mandate, a quarter of the district's white students departed for the nearby Shelby County Schools or for a growing, and uniquely successful, system of private schools. Since the busing order, the white population in the Memphis City Schools has steadily declined so that by the 50th anniversary of the Brown decision, a district that had been 58% white and 42% black in 1954 was 86% black and 9% white in 2004. Using the Northcross v. Board of Education of the Memphis City Schools litigation as a guide, this article traces that history, putting Memphis in the context of the larger desegregation story. Photo: 1st graders who integrated Memphis City Schools in 1961. 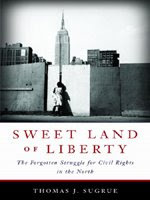 On Monday, January 12, at 11:00 AM, Thomas J. Sugrue, the Edmund J. and Louise W. Kahn Professor of History and Sociology at the University of Pennsylvania, will present (and sign copies of) his new book, Sweet Land of Liberty: The Forgotten Struggle for Civil Rights in the North (Random House, 2008). Sugrue is a specialist in twentieth-century American politics, urban history, civil rights, and race and is the author of The Origins of the Urban Crisis: Race and Inequality in Postwar Detroit (Princeton University Press, 1996), which won the Bancroft Prize in American History, the Philip Taft Prize in Labor History, and the President's Book Award of the Social Science History Association. On Friday, January 23, at 12:30 PM, Christian McMillen, Department of History, University of Virginia, will present two papers: "The Historians' Brief in Carcieri v Kempthorne," an Indian law case from the Supreme Court's current term, and "Proof, Evidence and History in Indigenous Land Claims," a paper blending history with the law in the early years of Indian claims. McMillen is the author of Making Indian Law: The Hualapai Land Case and the Birth of Ethnohistory (Yale University Press, 2007), which has recently won book prizes from the American Society for Legal History and the William Nelson Cromwell Foundation. It has been widely assumed that the Clandestine Marriages Act of 1753 was absolute in its requirement that parental consent be given to the marriage of any minor, and that the period during which it was in force marked a distinctive epoch in English legal history in this respect. Yet even after the Act the absence of parental consent did not invalidate a marriage in all circumstances, and there were a number of ways in which parental control could be avoided. Moreover, both the earlier canon law and the legislation that in 1823 replaced the 1753 Act also required parental consent, even if its absence did not render a marriage void. 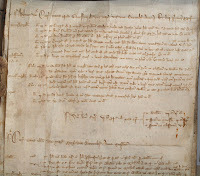 There has also been a tendency to view the provisions of the 1753 Act in isolation from other legal initiatives, but within the propertied classes conditions in wills that made financial provision dependent on the recipient marrying with the consent of a named person provided a further layer of control, as did the wardship jurisdiction of the Court of Chancery. Viewed in context, the 1753 Act was both less drastic and less distinctive than has been assumed, and the extent to which a minor’s choice of marriage partner might be constrained varied considerably according to class and gender. In the latter half of 1938 administrative procedure was at the center of political debate in New York State. In August a constitutional convention adopted, subject to ratification in the fall, a provision to permit courts to determine for themselves the facts underpinning the adjudications of state agencies. In October John Lord O’Brian’s bid to unseat U.S. Senator Robert F. Wagner became a referendum on the procedures of his legislative offspring, the National Labor Relations Board. The controversies revealed divisions in the legal profession and the party system that would ultimately determine how the bureaucracies of the 1930s were incorporated into the American legal and political order. Trial lawyers in the New York State Bar Association and “Old Guard” Democrats and Republicans pressed for heightened judicial review. They were opposed by Wall Street lawyers and liberals in the state Republican Party who preferred to make agencies’ procedures more like those of the courts. The election returns in November showed the political superiority of this “procedural Diceyism” and had implications for the history of party competition, the sociology of the legal profession, and the New Deal. This essay analyzes an innovation in malpractice law–now known as “wrongful birth” and “wrongful life” suits–through a close reading of trial transcripts and surrounding legal, medical, and popular media materials. These suits first arose in the early 1960s in the midst of the German measles epidemic when the nation feared the disease and its “crippling” effects on the developing fetus. The trial record exposed much of medical practice, physician-patient communication, and ideas about disability, but it also suppressed crucial information. Analyzed in conjunction with media sources and the social record, these suits reveal the complex and subtle ways in which reputations, religion, race, and class entered medical decision-making about providing medical care, in these cases, therapeutic abortions. Finally, this article provides a new perspective on the cultural and parental attitudes toward children with disabilities in the 1960s. Roe v. Wade has produced an impressive body of historical scholarship, focused on rights-based arguments and alliances that shape abortion debate today. However, before Roe, policy-based arguments were at least as important to abortion advocacy. One such argument described abortion as a method of population control, designed to cut welfare expenses, reduce pollution, or cut illegitimacy rates. By shifting the balance in the debate away from policy-based arguments, including those related to population control, Roe reshaped the coalitions involved in the abortion debate. Before Roe, supporters of population control, now not associated with pro-choice advocacy, were willing to support abortion reform. In turn, pro-life activists emphasized the threat that population control might pose to African-Americans, and some African-Americans who supported abortion after Roe opposed abortion reform when, before the decision, abortion was thought of as population control. Roe helped to change the rhetoric and coalitions that define abortion debate. By neglecting this change, the leading histories have missed what Roe reveals about how judicial decisions matter politically and culturally. In re-framing a political issue, a judicial decision can help to reshape the coalitions and arguments that define the debate. This article utilizes the Australian experience of federation, 1890-1901, as a vehicle for the discussion of the leading conceptions of federalism extant in the late nineteenth-century English-speaking world. In particular, the article examines the federal theories of James Madison, James Bryce, Edward Freeman, Albert Dicey and John Burgess in the context of many others, and seeks to show that the idea of a 'Commonwealth of commonwealths', although controverted by contending theories, remained a central theme in late nineteenth-century conceptions of federalism. In 1938, Congress rejected a package of administrative reforms that had been developed by a committee of academics headed by Louis Brownlow. The defeat was the worst that President Roosevelt would suffer in three terms as President. This article suggests that the Brownlow Committee contributed to the debacle in Congress by ignoring evidence that its recommendations would prove contentious. It is argued that the committee members were caught in a dilemma: On the one hand, they wanted to obtain immediate reforms for a president to whom they felt a personal loyalty; on the other, they needed to maintain a demonstration of neutrality, which made it difficult to undertake the tasks of political management that were essential to craft a viable reform program. The demonstration of neutrality was a combination of arguments and routines that the academic community had invented to allay public skepticism about its members' trustworthiness as advisers on contentious issues. important skirmishes in this battle were not fought in public, and even after half a century remain largely obscured from public view. One such skirmish was the contest within the academic community about the recommendations on administrative reform that were to be put before Congress. This paper considers why all three parties to this fight -- the Brownlow Committee, the Brookings Institution, and the Rockefeller Foundation -- went to such lengths to avoid public disagreement about the Brownlow recommendations. A public disagreement threatened to undermine the academic community's demonstration of neutrality, and thus to undermine the stability of the Public Administration community itself. "The Hoover Institution Archives at Stanford University announced late Thursday that release of the next batch of papers in the collection of the late chief Justice William Rehnquist has been postponed from the scheduled date of Jan. 5," reports Tony Mauro at Legal Times. "No explanation was given, nor any hint of when the release would be rescheduled." The initial release of papers is discussed here. As Mauro notes, "scholars were eagerly awaiting the next group, which includes correspondence and memoranda Rehnquist wrote and received throughout his career, as well as copies of his own opinions, and drafts and manuscripts of the four non-fiction books he wrote while on the Court." The rest of the story is here. Hat tip to Mauro. we are heartened by your commitment to a jobs stimulus program inspired by the New Deal and aimed at helping "Main Street." We firmly believe that such a strategy not only helps the greatest number in our communities but goes a long way toward correcting longstanding national problems. For all our admiration of FDR's reform efforts, we must also point out that the New Deal's jobs initiative was overwhelmingly directed toward skilled male and mainly white workers. This was a mistake in the 1930s, and it would be a far greater mistake in the 21st century economy, when so many families depend on women's wages and when our nation is even more racially diverse. The letter was written and organized by Professor Eileen Boris, University of California Santa Barbara; Professor Linda Gordon, New York University; Professor Jennifer Klein, Yale University; and Professor Alice O’Connor, University of California Santa Barbara. I signed the letter, as did many other legal historians. Concerns about gender equity in the stimulus plan have also been raised recently by Linda Hirshman in the New York Times and Randy Albelda in the Boston Globe. A letter from economists calling for greater economic opportunities for women is here. We all know that our country's infrastructure is literally rusting away. But our social infrastructure is equally important to a vibrant economy and livable society, and it too is crumbling. Investment in education and jobs in health and care work shore up our national welfare as well as our current and future productivity. Revitalizing the economy will require better and more widespread access to education to foster creative approaches and popular participation in responding to the many challenges we face. As you wrestle with the country's desperate need for universal health insurance, we know you are aware that along with improved access we need to prioritize expenditure on preventive health. We could train a corps of health educators to work in schools and malls and medical offices. As people live longer, the inadequacy of our systems of care for the disabled and elderly becomes ever more apparent. While medical research works against illness and disability, there is equal need for people doing the less noticed work of supervision, rehabilitation, prevention, and personal care. We are also concerned that if the stimulus package primarily emphasizes construction, it is likely to reinforce existing gender inequities. Women today make up 46 percent of the labor force. Simple fairness requires creating that proportion of job opportunities for them. Some of this can and should be accomplished through training programs and other measures to help women enter traditionally male-occupied jobs. But it can also be accomplished by creating much-needed jobs in the vital sectors where women are now concentrated. The most popular programs of the New Deal were its public jobs. They commanded respect in large part because the results were so visible: tens of thousands of new courthouses, firehouses, hospitals, and schools; massive investment in road-building, reforestation, water and sewage treatment, and other aspects of the nation's physical plant--not to mention the monumental Triborough Bridge, and the Grand Coulee and Bonneville dams. But the construction emphasis discriminated against women. At best women were 18% of those hired and, like non-white men, got inferior jobs. While some of the well-educated obtained jobs through the small white-collar and renowned arts programs, the less well-educated were put to work in sewing projects, often at busy work, and African American and Mexican American women were slotted into domestic service. 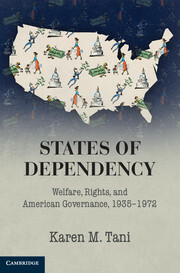 This New Deal policy assumed that nearly all women had men to support them and underestimated the numbers of women who were supporting dependents. Today most policy-makers recognize that the male-breadwinner-for-every-household assumption is outdated. Moreover, experts agree that, throughout the globe, making jobs and income available to women greatly improves family well-being. Most low-income women, like men, are eager to work, but the jobs available to them too often provide no sick leave, no health insurance, no pensions, and, for mothers, pay less than the cost of child care. The part-time jobs that leave mothers adequate time to care for their children almost never provide these benefits. Meanwhile the country needs a stronger social as well as physical infrastructure. Teachers, social workers, elder- and child-care providers and attendants for disabled people are overwhelmed with the size of their classes and caseloads. We need more teachers and teachers' aides, nurses and nurses' aides, case workers, playground attendants, day-care workers, home care workers; we need more senior centers, after-school programs, athletic leagues, music, and art lessons. These are not luxuries, although locality after locality has had to cut them. They are the investments that can make the U.S. economically competitive as we confront an increasingly dynamic global economy. Like physical infrastructure projects, these jobs-rich investments are, literally, ready to go. A jobs-centered stimulus package to revitalize and “green” the economy needs to make caring work as important as construction work. We need to rebuild not only concrete and steel bridges but also human bridges, the social connections that create cohesive communities. We need a stimulus program that is maximally inclusive. History shows us that these concerns cannot be postponed until big business has returned to "normal." We look to the new administration not just for recovery but for a more humane direction—and in the awareness that what happens in the first 100 days and in response to immediate need sets the framework for the longer haul of reform. The text of the letter with signatories is here. The announcement, with contact info for the organizers, is here. Suggested actions that you can take are here. Images 1 and 2 and 3. Particularly in his later work, Professor Currie became an important legal historian, tracing the history of the American Supreme Court and the history of constitutional debates in Congress in six comprehensive volumes. His interest in constitutional history--and his evident conviction that this history has strong illuminating power for the present--also comes through very clearly in his work on the German Constitution. Update: It turns out that Quint's article is part of a symposium issue of the German Law Journal, devoted to Professor Currie's work. 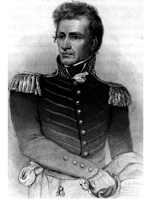 In April 1818, during the First Seminole War, General Andrew Jackson captured and executed two British allies of the Seminoles in Spanish Florida. During the months following the executions, Americans vigorously debated the validity of Jackson's conduct, contesting and defending the general's decision to deny Alexander Arbuthnot and Robert Ambrister the rights normally accorded to prisoners of war. The extensive congressional discussion of the executions and the comprehensive newspaper coverage indicate that the incident was prominent and important to contemporaries. As the Boston Intelligencer observed, the public mind was "in a ferment" on the subject. Image credit. And thanks to Robert Richards for the reference. This essay, appearing in a collection in honor of Morton J. Horwitz, explores one aspect of judicial methodology inspired by The Transformation of American Law, 1780-1860 (1977) - the extent to which judges viewed themselves to be primarily responsible for stability in the law. In the antebellum United States, judges, in their rhetoric at least, expressed a profound interest in maintaining stability in order to preserve certain property rights. This view self-consciously recognized the undesirability of changing common-law rules which had created property reliance interests. State court judges discussed the protection of settled expectations about property and contracts to be essential to the preservation of property rights. Although the rhetoric associated with the stare decisis property rule no doubt served a legitimating function, and it was probably ignored when for instrumental reasons courts wanted to change the rules, the concept is invoked frequently enough that one can draw more general conclusions about judicial attitudes toward the stability of property rights. Judges viewed abrupt changes in precedent to be undesirable when settled property expectations would be disturbed. At another level, the rhetoric of stare decisis employed by antebellum jurists in questions relating to property rules was not a concern that private property might be taken for public benefit without compensation, but instead expressed the absolute prohibition to the taking of property from A to give to B - a power courts expressly denied to the legislature in this period. In this sense, it is correct to state that these state court judges would not have recognized a general prohibition against "judicial takings" as the issue is argued today. Many judges, however, believed it was important to honor the "reasonable expectations" of property owners and those engaged in commercial transactions based upon their general understanding of common-law rules, or at least the settled understanding as those judges could discern it. These judges clearly showed an appreciation of the potential effect of their decisions on property reliance interests, but their focus was a pragmatic concern for economic stability that was sometimes paramount to the reliance interest of a particular individual. a dissertation and post-doctoral fellowship as well as several travel grants for the 2009-2010 academic year. Our mission is to support research on the Cold War at home and the ways in which this ideological and geopolitical conflict with the Soviet Union affected American politics, culture, and society. We are particularly interested in proposals that deal with the impact that the Cold War had on the U.S. political economy, the national security state, civil rights, civil liberties, labor relations, and gender relations. The Center also looks forward to supporting projects that relate foreign policy to domestic politics and those that see the central issue as U.S. response to revolutionary nationalism and decolonization in Asia, Latin America, and Africa. The application deadline is February 1, 2009. In order to apply, please send the information listed below to Professor Marilyn Young and Dr. Michael Nash (co-directors), Center for the United States and the Cold War, Tamiment Library, New York University, 70 Washington Square South, New York, N.Y. 10012. 1. Copy of curriculum vitae. 2. Short project description (five pages maximum). 3. Statement describing the relevance of the collections of the Tamiment Library to the project. 4. Two letters of recommendation. 5. Writing samples are also welcome. Applicants for dissertation fellowships must have passed their comprehensive examinations and expect to complete their dissertations within two years. The post-doctoral fellowship is designed for junior scholars who have received the Ph.D. within the past five years. Travel grants are open to all. Dissertation fellows will receive stipends of $20,000 for a nine-month academic year; stipends for post-doctoral fellows will be $40,000; and travel grants are $2,000 per month. One-semester fellowships may be offered at half of the above stipends. Health insurance is also available. Office space will be provided and all fellows will have a formal affiliation with New York University. For more information applicants are encouraged to contact either Marilyn Young (Marilyn.Young@nyu.edu; 212-998-8610) or Michael Nash (Michael.Nash@nyu.edu; 212-998-2428). Hat tip: H-Law. Image credit. "Separation of ownership and control" is a phrase whose history will forever be associated with Adolf A. Berle and Gardiner C. Means' The Modern Corporation and Private Property (1932), as well as with Institutionalist economics, Legal Realism, and the New Deal. Within that milieu the large publicly held business corporation became identified with excessive managerial power at the expense of stockholders, social irresponsibility, and internal inefficiency. Neoclassical economists both then and ever since have generally been critical, both of the historical facts that Berle and Means purported to describe and of the conclusions that they drew. In fact, however, within neoclassical economics the separation of ownership and control has always been an essential element of efficient corporate governance and corporate finance. This paper explores the history of the concept of separation of ownership and control within neoclassical economics, starting with Yale economist Irving Fisher's separation theorem developed early in the twentieth century, which held that a corporation's profit function could not be derived from shareholders' utility functions; Ronald Coase's The Nature of the Firm (1937), which applied purely marginalist analysis to the determinants of the horizontal and vertical structure of the corporation; and then to the great corporate finance theorems of the 1950s and 1960s. These concluded that ownership and debt are nothing more than alternative, fungible sources of capital, and that a profitable stock ownership strategy involves no knowledge whatsoever about the firms in which purchasers are investing. Within this model "separation of ownership and control" actually understates the degree of separation. A better phrase would be "separation of ownership and awareness." Here is one in what will be a series of posts to recent articles that were spotted for Legal History Blog by Mr. Robert Richards. They all appear in journals in the Project Muse database and are accessible on-line to institutional or personal subscribes. When explaining the success of the Prohibition movement in the United States between 1900 and 1920, scholars argue that prohibitionists were able both to tap into the distrust of many rural, native-born, evangelical Protestants toward modern urban life and to bring together disparate groups of reformers around one goal: the elimination of the saloon. 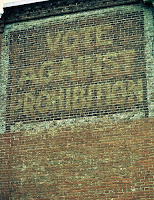 Furthermore, localized campaigns resulting in the elimination of saloons from many rural areas kept this base of voters energized, ultimately leading to impressive dry turnouts in statewide Prohibition referenda. This study extends and amplifies these findings through an analysis of three sets of factors on voting outcomes: the percentage of various demographic groups (urban, immigrant, and ritualistic religious populations) residing in a county; the distance of each county to saloons; the presence or absence of producers of alcohol in a county. Results of ordinary least-squares regression demonstrate that access to saloons and the percentage of immigrant and ritualistic church members in a county are the variables that most influence the results of Prohibition referenda. Furthermore, unlike what previous research has demonstrated, these variables have their greatest influence by affecting wet turnout rates. Maryland's history shows a remarkable constitutional evolution. At its founding, the province of Maryland was subject to the largely unwritten British constitution and to a kind of constitution, the 1632 Charter of Maryland, which was the British king's grant in the Latin language of land and governance to the Proprietor, Lord Baltimore and his heirs. Maryland's first constitution of the people in 1776 was legislated by the governing body of the state, albeit one elected for the purpose of forming a new government, but the Constitution of 1776 was not ratified by the people. Subsequent revised Maryland constitutions in 1851, 1864, and 1867 were proposed by specially elected constitutional conventions and adopted by vote of the people. Since 1851, the constitutions of Maryland have included a provision calling on the legislature to determine, at periodic general elections, the "sense of the people" about whether a constitutional convention should be called. Since the Constitution of 1776, Maryland's constitutions have been frequently revised and amended. Maryland's constitutions, beginning with that of 1776, have been in the English language. Thus, Maryland's "constitution" was originally a grant, written in Latin (and against the backdrop of a largely unwritten British constitution), from the Briti sh king to a noble family. Now the Constitution is a home-grown, regularly-reconsidered compact of the people written in their own language. This article tells the story of the evolution of Maryland's Constitution from 1632 to 1851. That story includes not only the remarkable evolution described above, but also a number of developments important to American constitutional history. This history of the Maryland Constitution spans the colonial era, revolutionary times, and early statehood (before the Civil War). In the colonial era, the 1632 Charter of Maryland provided a kind of constitution and a representative assembly for the Province of Maryland, one of the first in the colonies. An "Act ordeining certain Laws for the Goverment of this Province," enacted in 1639, was a temporary legislative bill of rights and perhaps "the first American Bill of Rights." An "Act Concerning Religion," also known as the Toleration Act of 1649, recognized a measure of freedom of conscience and was probably the first document protecting the free exercise of religion. In revolutionary times, an Association of the Freemen of Maryland (1775) helped establish a republican form of government and placed Maryland in a union of American colonies. A Declaration, dated July 6, 1776, proclaimed Maryland an independent state, based on the sovereignty of the people. Maryland's first constitution of the people, also in 1776, had separated powers and a Declaration of Rights. In the early statehood period, the case of Whittington v. Polk, like Marbury v. Madison in the United States Supreme Court, established judicial review, i.e., that courts are the primary interpreters and enforcers of the constitution. Amendments to the constitution in 1802, 1810, and afterward extended the franchise beyond those initially entitled to vote, i.e., free, white, male, 21 years of age, and property owners. Reform amendments to the constitution (1837-1838) provided direct popular elections of certain state officials and reapportionment of the House of Delegates, the lower house of the Maryland General Assembly. The Constitution of 1851 provided for popular participation in constitutional change by regularly taking "the sense of the people" as to calling a constitutional convention. Some developments after 1851 are briefly described to show how matters have continued to evolve. The article explains the task of German law to bring a Civil Code that came into force in 1900 as a consequence of nineteenth century legal science in line with the German Constitution of 1949. In 1958, the highest German court solved this in Lueth and gave its most important decision about the reach of constitutional rights and the importance of free speech. The Lueth case, which is about a boycott against a film of a former director of a Nazi film, is not just a fascinating story of law. The German Federal Constitutional Court (Bundesverfassungsgericht [BVerfG]) also developed the indirect "horizontal" application of constitutional rights to private law. This represents a new concept of primacy of constitutional law that has been noticed and discussed around the world. Therefore, the constitutional and private law setting of the decision and its consequences will be explained in the following. This will be done by highlighting the differences and commonalties to the U.S. development and by using the general personality right as example of the indirect application of constitutional rights to private actors. The paper closes with more general observations regarding the effect of the Lueth decision on e.g. Canadian, South African, Greek and EU law. The website for the Legal History Forum of the Hebrew University of Jerusalem is now up and running. The Forum "holds meetings, symposia and colloquia featuring leading legal historians from both Israel and abroa," is now up and running. Watch that space for news of the Spring 2009 schedule of the Jerusalem Workshop in Legal History. An ideal holiday gift for your favorite legal historian is membership in the American Society for Legal History. Student membership, at $20, is a bargain, and will give your legal history student a year of the leading journal in the field, the Law and History Review. Overseas readers especially should act now. To cover costs of shipping the Law and History Review overseas, members outside of North America must add $10 to their membership fee. The price is going up however: "We regret that beginning on January 1, 2009, individuals and institutions resident outside of North America will need to add $25 (rather than $10) to these prices to cover overseas shipping of the journal." More info on that is here. So pick up a stocking stuffer for your favorite grad student, or treat yourself to membership so that you, too, can be a legal historian! On the national scene and at the local level, the next few months promise to generate an intense debate on key issues facing the U.S. labor movement, as well as working Americans more generally. The effort to pass, or defeat, the Employee Free Choice Act will be central to this fight, but so too are questions arising over the role labor will play in the bailout of the financial, housing, and automobile sectors of the economy and in the character of the economic stimulus and recovery package now being crafted by the Obama Administration. Of course, an intense and systematic hostility to trade unionism on the part of American conservatism is hardly news. It has been a notable feature of the nation's political landscape for decades. But an understanding and deconstruction of this phenomenon requires something more than mere condemnation, especially during the next few years when an effort to reform American labor law, along with the rise of labor's influence within the Democratic Party, is almost certain to generate a furious and determined counter attack from those who seek to limit the power and marginalize the legitimacy of U.S. trade unionism. Our conference, "The American Right and U.S. Labor," will explore the character of the political institutions, ideological impulses, and journalistic/rhetorical tropes deployed by those who oppose working-class self-organization and seek to delegitimize it in the larger world of culture, politics, and economic life. We have invited more than 30 historians, economists, sociologists, and legal scholars, among them Michael Honey, Sanford Jacoby, David Brody, Jefferson Cowie, Joe McCartin, David Witwer, Gordon Lafer, Catherine Fisk, John Logan, Reuel Schiller, Judith Stein, and Mel Dubofsky. The keynote speaker is Fred Feinstein, former General Counsel, National Labor Relations Board. Just over half a century ago, Harvard Law School provided the setting for a debate between the two most influential British and American legal theorists. H.L.A. Hart, Professor of Jurisprudence at Oxford, was invited to give the Law School's annual Holmes Lecture. Hart took this opportunity to enunciate the kernel of his emerging theory of legal positivism, staking out his claim to be the 20th Century successor to Jeremy Bentham and John Austin. Lon L. Fuller, Carter Professor of General Jurisprudence at Harvard, and a man who had long ploughed a rather lonely jurisprudential furrow as a scholar and teacher committed to exploring the morality of law, demanded a right to reply. The rest, as they say, is history. In this paper, I revisit that history, and give it a somewhat different interpretation from the one which it has generally received. My argument is that Fuller was at an inevitable disadvantage in the debate. Because of Hart's agenda-setting position, the terms of the debate are those of analy tic legal philosophy: and the reception of the debate has, understandably, both interpreted and evaluated Fuller's argument largely in terms of criteria internal to that discipline. But while Hart's Holmes lecture can justly be seen as exemplary of his broader contribution, Fuller's most original interventions in legal scholarship originated not so much in a philosophical view but rather in a broader socio-legal and interdisciplinary interpretation of legal institutions and processes. Though Fuller might have drawn on this broader work to raise questions about Hart's approach, he did not do so as effectively as he might have done. Hence the salience to Fuller's reputation of his role as Hart's natural law opponent marginalises some important strengths of his scholarship. 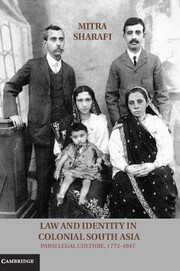 I preface this argument with a historical and biographical sketch: introducing the protagonists and their intellectual and personal preoccupations; setting the scene for the debate in terms of contemporary legal scholarship and legal education; and providing a richer context in which to assess the debate's overall significance for legal scholarship today. Images: Fuller (l), Hart (r). 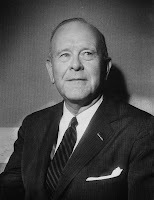 Randall C.H. Lesaffer, Dean of Tilburg Law School, The Netherlands, has posted an essay about the nature of legal history, Law between Past and Present. His distinctions between the kinds of legal history done in law schools and in history departments doesn't hold in the United States, so it may be most interesting in illustrating differences between the way legal history is done in Europe and the U.S. In the U.S., most scholars who call themselves "legal historians" engage in research that falls in Lesaffer's second category, which in his experience is the kind of research done by legal historians in history departments. His first and third categories consist of the sort of historically oriented research sometimes done by lawyers and legal scholars who are not principally historians, and often who do not have historical training. Second, there is ‘law in history’. This refers to the study of law within its broad social, economic, cultural and political context. The object of study is the mutual interaction between law and society at a certain time and certain place in history. This kind of historical research into the law is more often conducted by historians working in history departments rather than law schools and is, in terms of methodology, the most ‘historical’ of all three. What this entails will be explained in the final pages of this chapter. Third, there is ‘history of law’. This type of legal historical literature holds a middle position in the continuum between the former two. 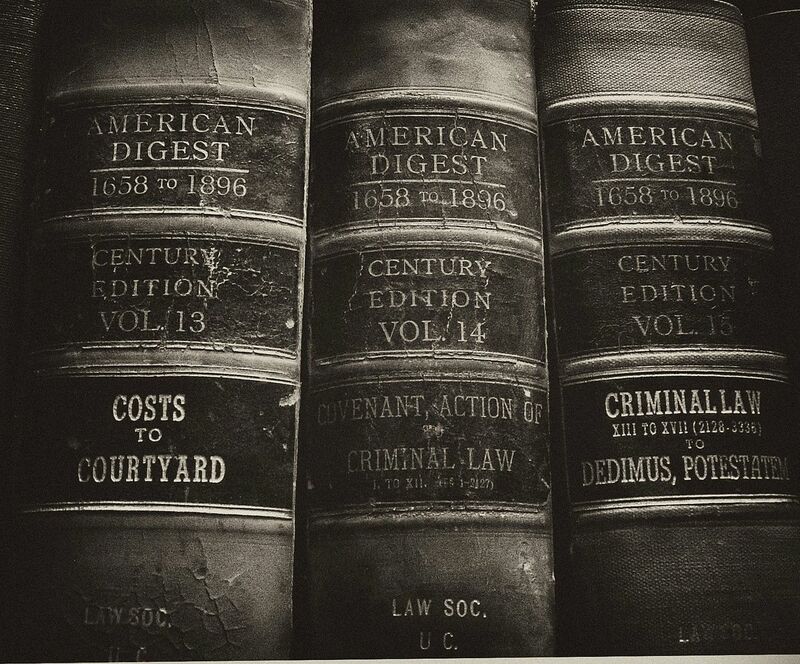 This type of legal history is first and foremost the preserve of legal historians who hold law degrees and are attached to law schools or legal research institutes. Under this denominator falls research which considers law as a self-contained historical phenomenon. The purpose of this type of legal history is to understand what the ‘law’ was at a certain time and place in history. It only differs from the study of contemporary law in that it concerns law from the past. The object of study may be either the law system as a whole, or just a particular branch, institution, principle, rule or concept. While often one refers to the study of the law as a whole as external legal history and of particular parts of its as internal legal history, it would be more correct to speak of macro- and micro-legal history. The term external legal history could better be applied to ‘law in history’ and internal legal history to ‘history of law’. Law & Society deadline today!